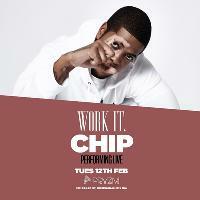 Chip Performing All His Smash Hits Live At Pryzm Birmingham! Lineup and Details for Work It. presents CHIP live at Pryzm!